Kitty crazy? 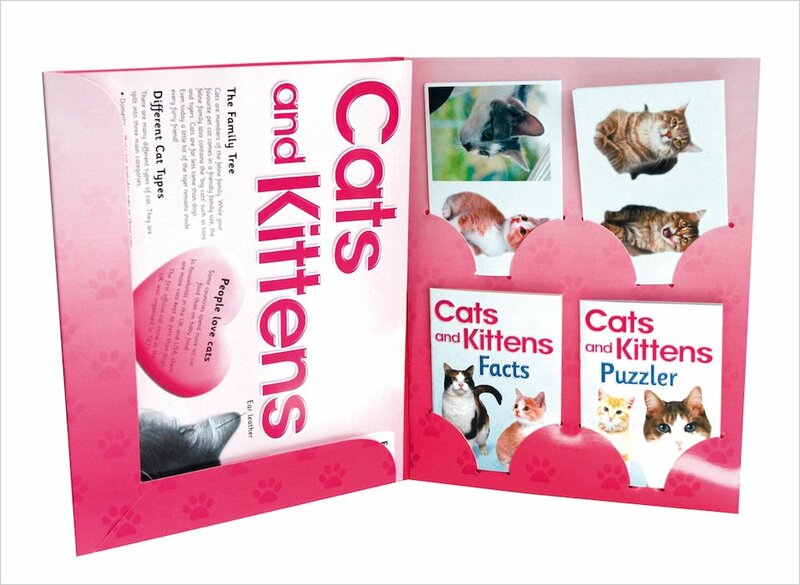 Open up this pretty pink folder for an adorable array of cute cat treats. 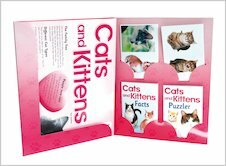 There are two mini books of feline facts, heaps of pussycat puzzles, and sweet kitty stickers to melt your heart. There’s even a gorgeous giant poster. Miaow! If you’re a cat-lover, you’ll be purring with pleasure. A4 folder contains two mini paperbacks, puzzles, games, 21 stickers and a big poster. 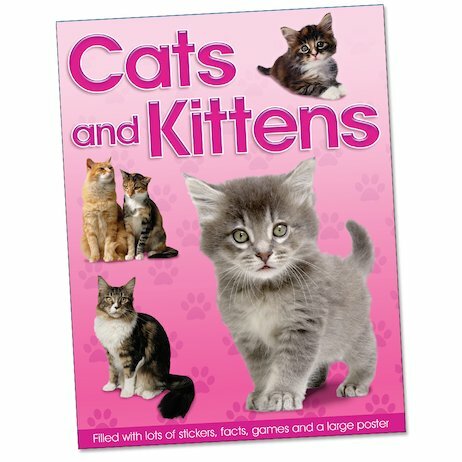 A cute folder for kitten and cat fans. 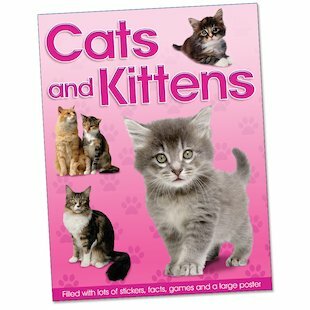 I loved this book and I love cats.